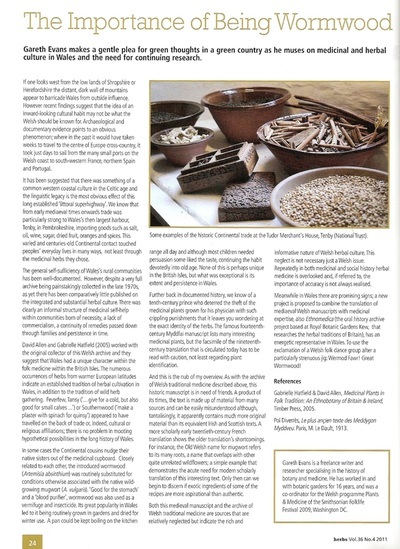 ​Gareth Evans makes a gentle plea for green thoughts in a green country as he gives a overview of the unique history of medicinal plants in Wales. 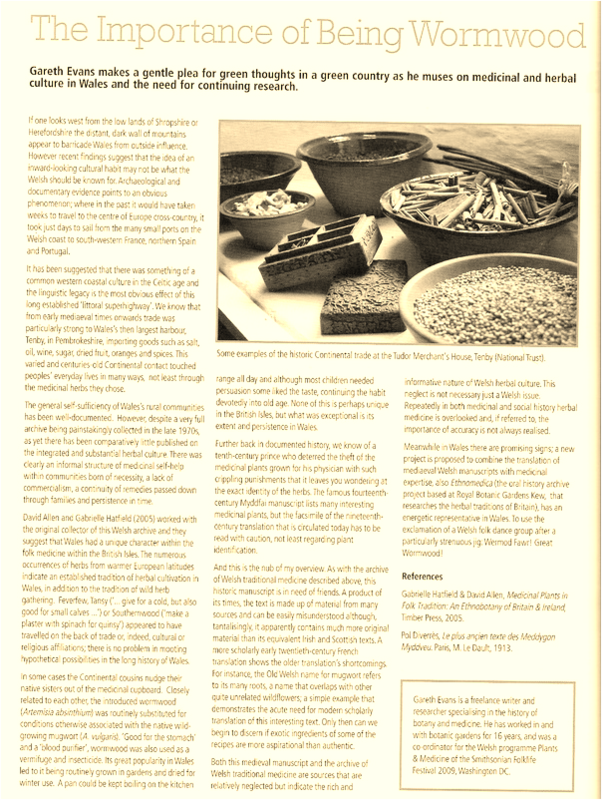 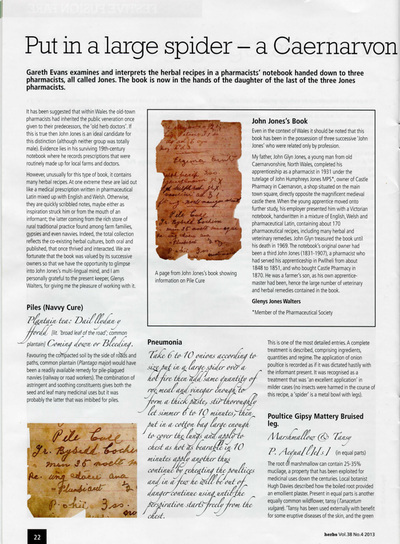 ​ Herbs, the journal of the Herbs Society. 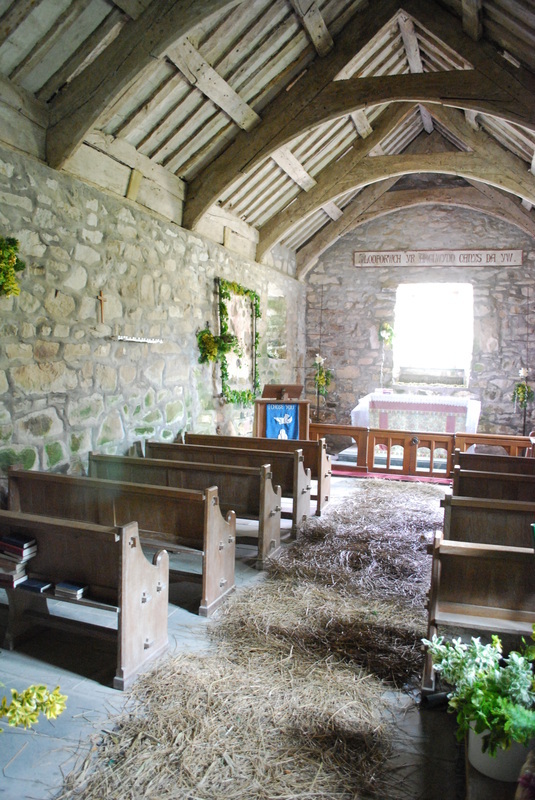 Here strewn with straw, the interior St. Beuno's Church on the Llyn Peninsula, North Wales, is decorated at certain festivals with collected medicinal plants to mark the site's past use as a hospice for pilgrims to Bardsey Island. 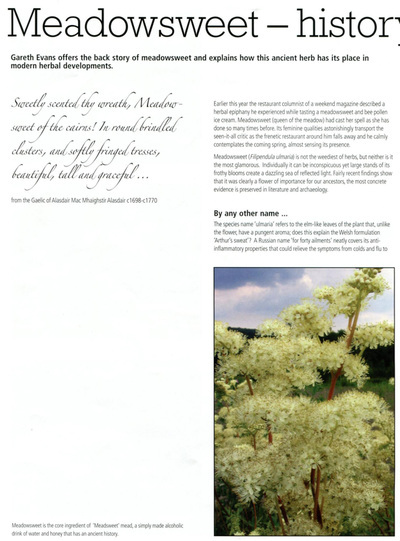 Meadowsweet, History in a Pudding Bowl.